During Freshers' Week at my uni I signed up for every single activity that had anything to do with music. One of those was a drumming workshop that ended up being so much fun, I never left: I became a member of the NTU Drumline. When our first year was coming to an end we were about to lose half of our team due to people graduating, but we wanted to make sure Drumline continued strong onto the new year. So we decided to focus our attention on recruitment! We came together to create a strategy and I got the task to create our new logo. Part of the rebranding we gained a mascot, the Falcon. 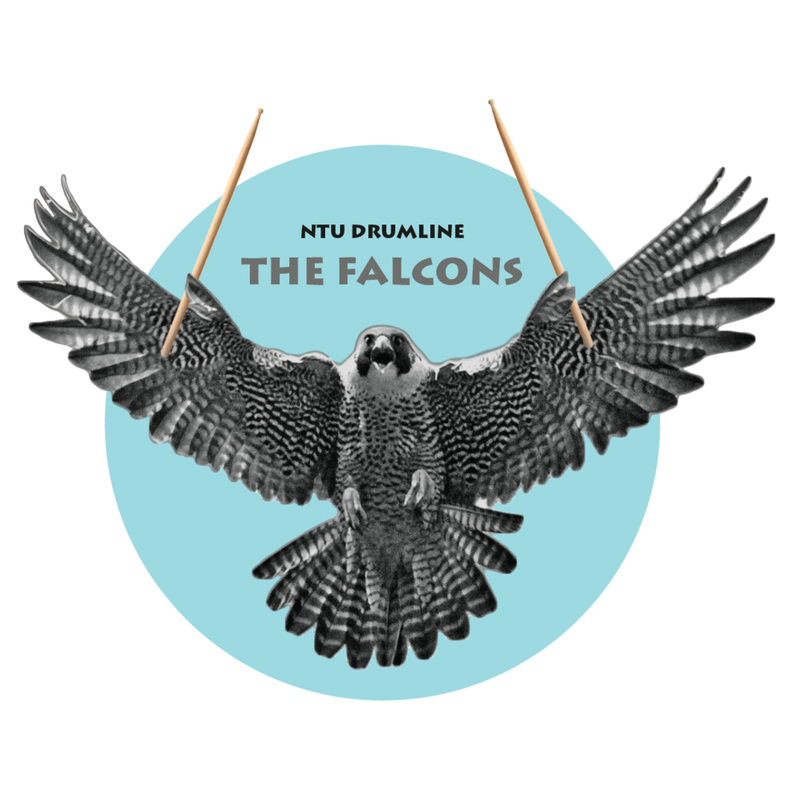 Upon googling how a falcon looks I found this amazing picture of a falcon that seems to be screaming N-T-U-DRUM-LINE-HA!, so naturally, I created a logo out of it right away. This was jokingly loved by our group, but we couldn't actually use it for various reasons (copyright, impossible to embroider on a t-shirt, etc). Not to mention that everything had be approved by the marketing team of our university, which proved to be a harder task than first imagined. So brainstormings, variations and refinements have followed! We voted on the different options, but most people seemed to have gotten attached to our original screaming falcon, so we ended up going with its simplified, outlined version. Then narrowed it down to the top four contestants..
Now, T-shirts and new drumsticks are ordered, flyers and banner designs are on their way and we are ready for next year's fresher's week to recruit the newest members to our lovely, amazing little group of drummers.